WHOSE STREETS? is a powerful battle cry from a generation fighting, not for their civil rights, but for the right to live. Directed by Sabaah Folayan and Damon Davis, this award-winning documentary takes an unflinching look at the Ferguson uprising in the US, told by the activists and leaders who live and breathe this movement for justice. Kayla Reed, leading Ferguson activist and film subject will attend the London screenings on 13 March at the Barbican and 14 March at the Regent St Cinema. On the other side of the coin, Peter Nicks’ THE FORCE brings us inside the Oakland Police Department in the USA, which is struggling to make change amidst serious corruption and misconduct. The filmmaker will be in attendance on 9 March and 12 March. Daniel McCabe’s THIS IS CONGO is an immersive and unfiltered look at this lush, mineral-rich country, from the rise of Rwandan and Ugandan-backed M23 rebels in the North Kivu region of the Democratic Republic of Congo in 2012 to the present day, via four profoundly resilient characters. Described by Timo Meuller, researcher in the Africa Division of Human Rights Watch as, “the best documentary I’ve seen on the Democratic Republic of Congo. McCabe cares deeply about the country and does a great job walking the audience through the complicated historical trajectory of the Congo”, the film will screen on 10 March at the BFI Southbank, and will screen at the Human Rights Watch Benefit Gala on 7 March at the Royal Institute for British Architects. 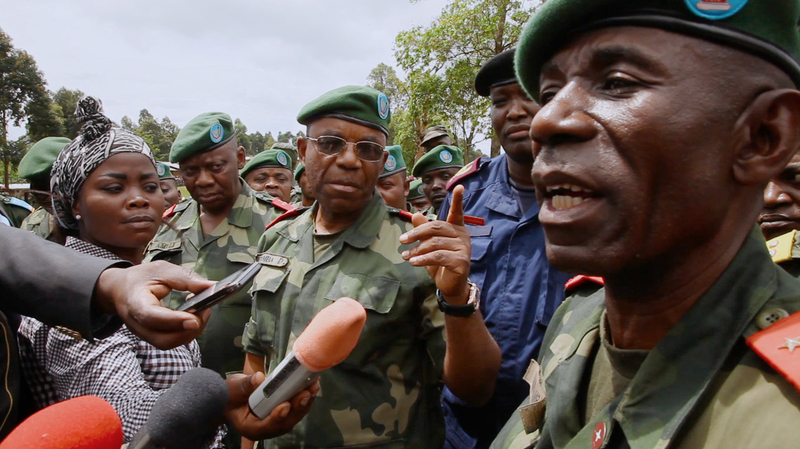 In the closing night film SILAS, directed by Anjali Nayar and Hawa Essuman, the activist Silas Siakor and a network of dedicated citizen reporters respond with swift action when the rights to quarter of Liberia’s land are illegally signed away to multinational companies. “When they tear down the trees and strip the land, they tear down our people and strip away their lives,” Siakor said. Silas and Anjali will be in London on 16 March, at the Barbican.